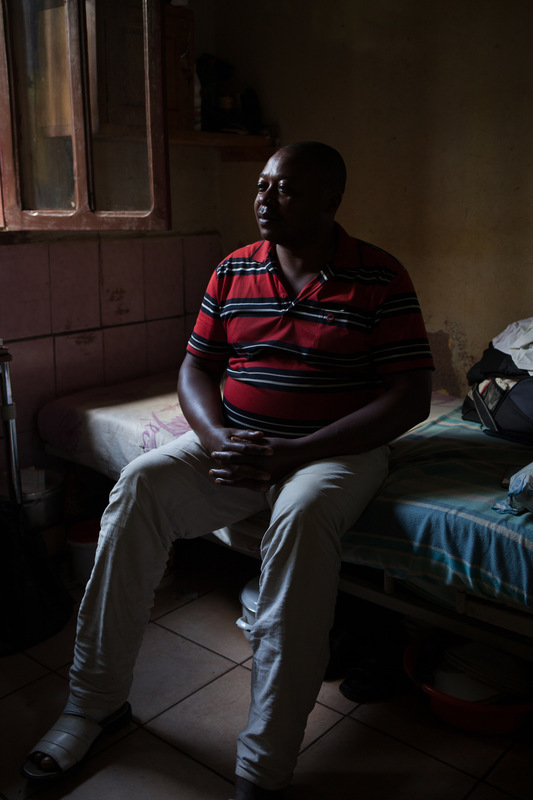 "Our sons will know seas with no fish"
When the hospital started in 2008, it only had 10 beds. Today, 42 of the 45 hospital places are occupied. 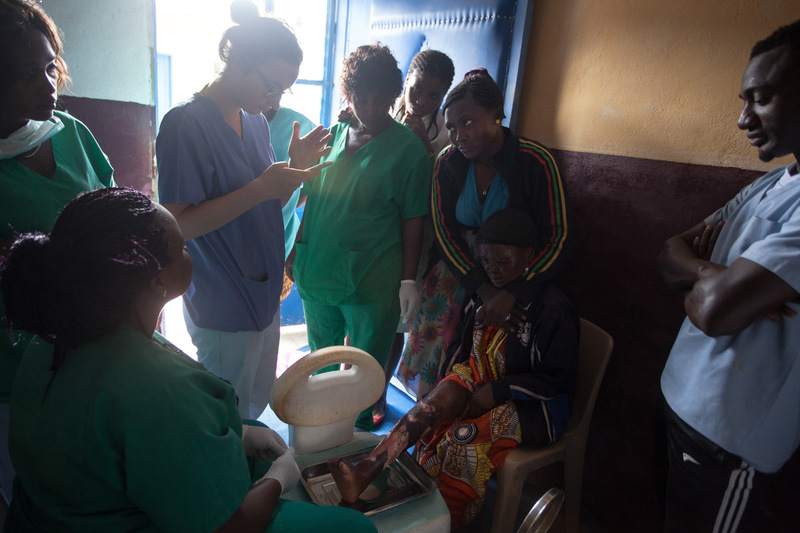 About 20 patients from the area are treated externally and some come to monitor their wounds and change dressings. 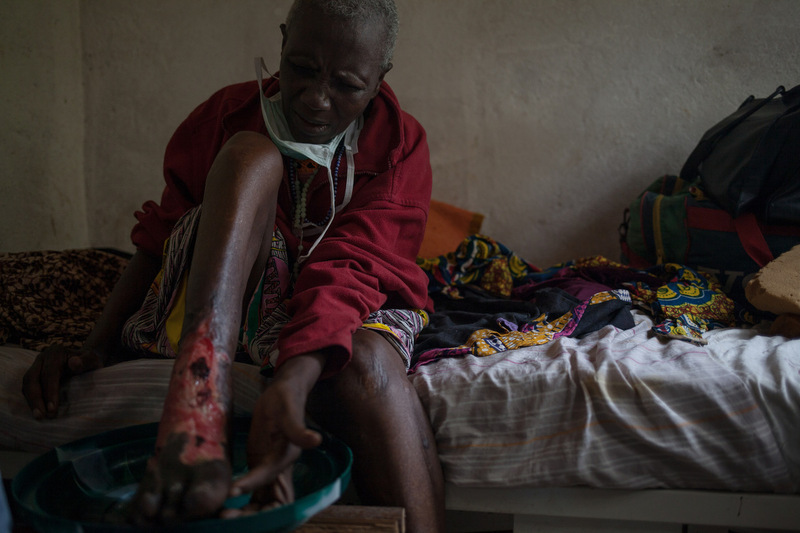 Fish seller Alice Estelle Doumou, 42, saw her feet and arms suddenly curl up six months ago. She remained paralysed in this frontal position for a reason that remains unknown, despite the three million west african franc ($5376) spent on tests. 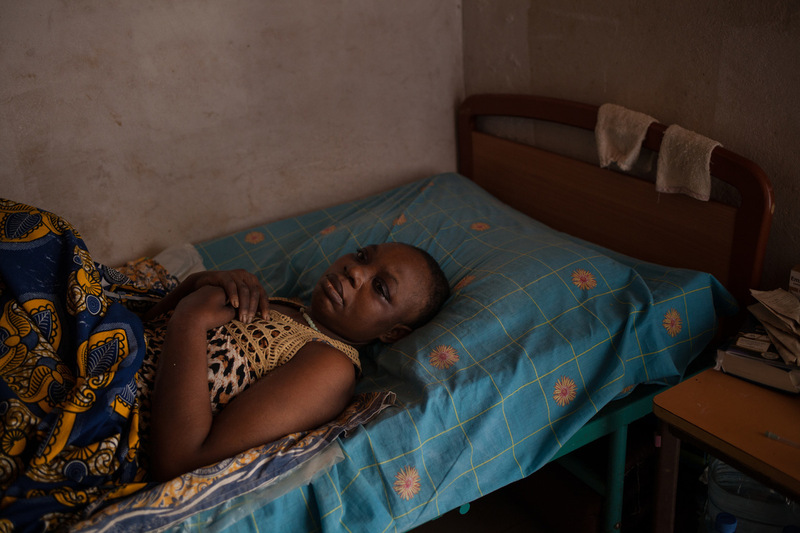 In a bed at Douala Central Hospital, she developed two bedsores. Unable to treat them, the hospital sent her home. 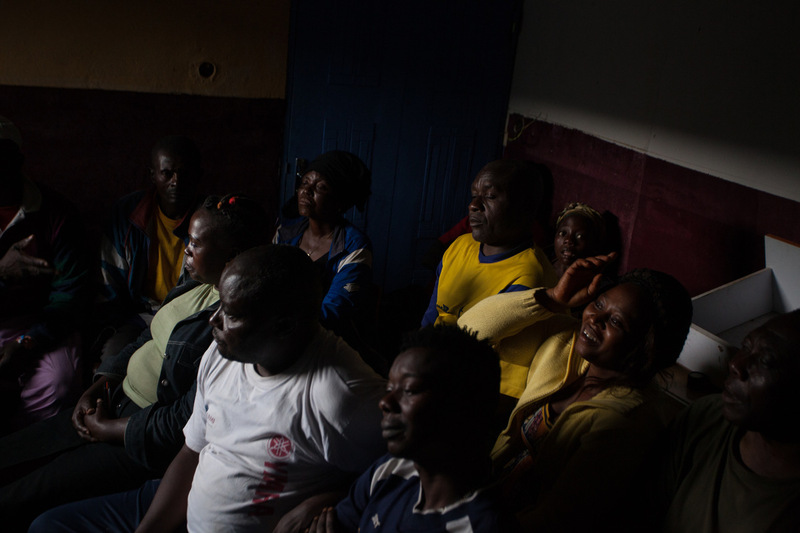 With the support of her family, she went to Baleveng Wound Hospital, a four-hour drive from Douala. In four months, her first two bedsores were almost healed. But two more appeared. 'I am overwhelmed, it's a lot of pain, a lot of suffering. I am hoping the wounds will heal. I don't want any more wounds coming out,' Alice says, with tears in her eyes. 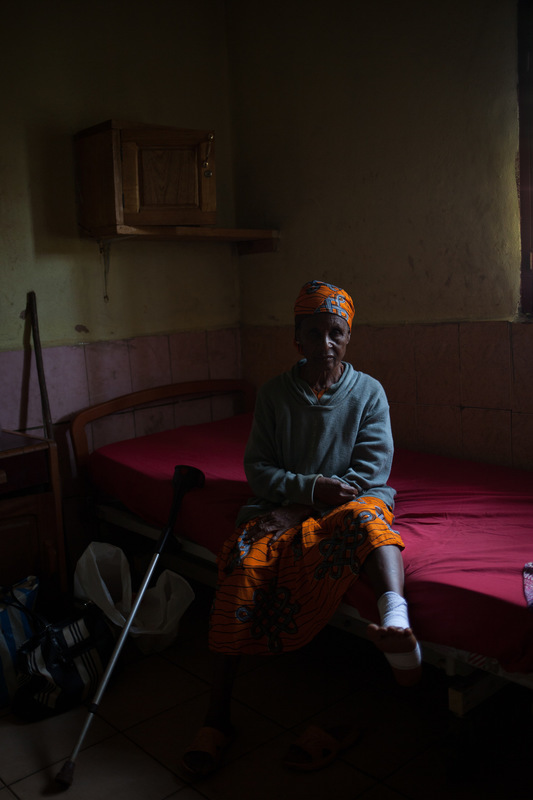 In the absence of a dynamic air mattress, which prevents bedsores, her case is 'hopeless' according to one of the caregivers. Migrange Kenfack, 26, is suffering from sickle cell. On her way to work, a push-push cart hit her, and the wound on her leg never healed. Sickle cell disease, a genetic disease that modifies haemoglobin and is widespread in Central Africa, makes the wound more difficult to heal: in the symptoms of this disease, a more rapid renewal of red blood cells, which causes anemia and slows the flow of blood to an open wound.In 5 years, Migrange went twice to traditional healers and to 3 different hospitals before going to Baleveng. "The treatment is slow, but it is slowly getting better" she says. 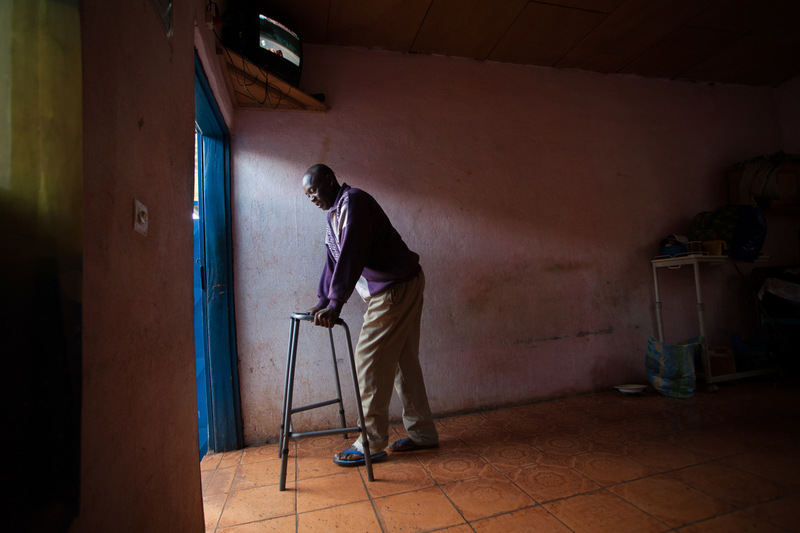 Paul Tamoki, 71, father of 7, is being treated for two leg ulcers that appeared in 2012. 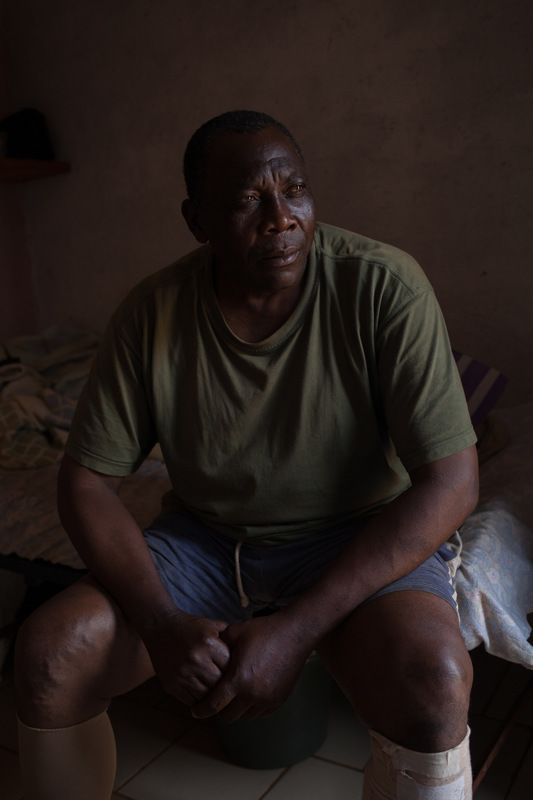 His children found Balaveng Hospital searching the internet and took Paul there 5 months ago. "My children are like my cane," he said. But here the treatment is slow, very slow. I want to go home and rest, because it's a too heavy financial burden for my children." Maurice Takou, 50, goes to the daily dressing change. He's been in the wound hospital for a month, but his wound is three years old. 'A small pimple appeared, which I scratched. Since then, it hasn't stopped growing,' said Maurice, describing the beginning of the ulcer. For changing their bandages in morning, the patients must procure gauze, plaster, gloves and chlorine at the pharmacy, for a total of nearly 2500 west african franc ($4-5) per day. The treatment is a heavy burden for the injured person's family. 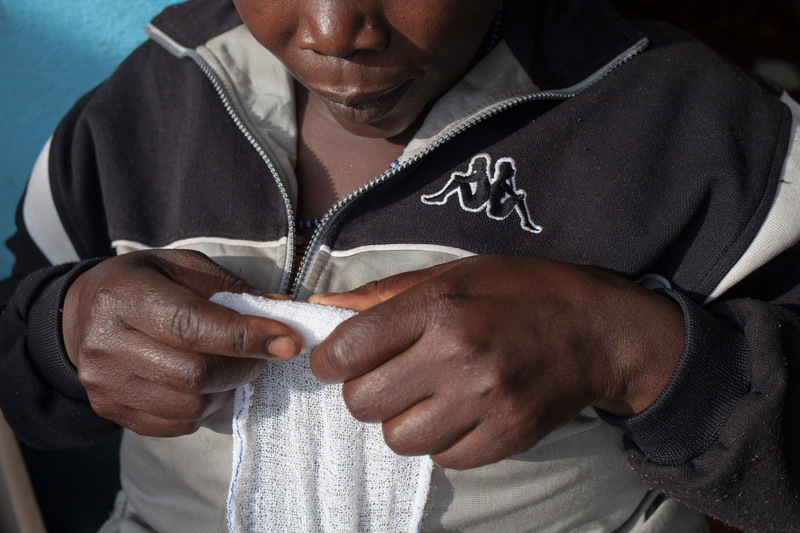 The patients are also responsible for washing their reusable bandages and compression bands daily. 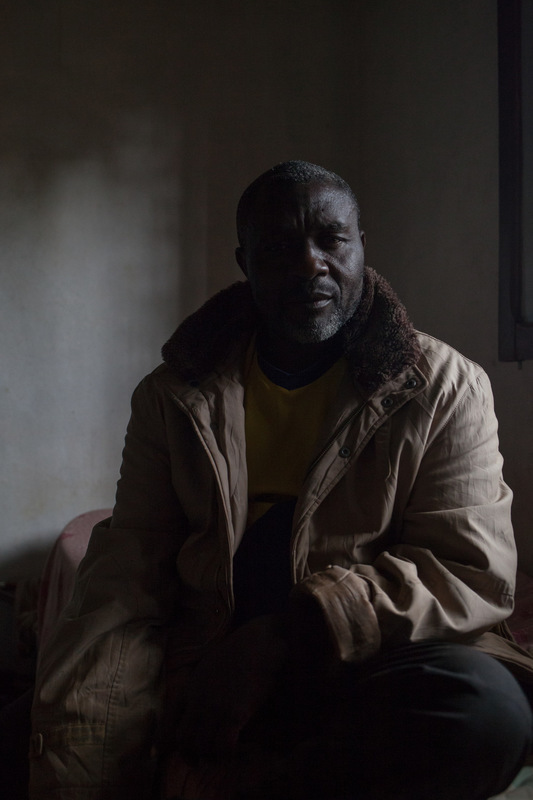 René Malang Fongo, 58, is a policemen in his village. His venous ulcer prevented him from wearing real work shoes and then from walking painlessly. Even though he could go for free to the Military Hospital, he preferred to come to the Baleveng Wounds Hospital, because it is specialized. He hopes to be back to work soon. 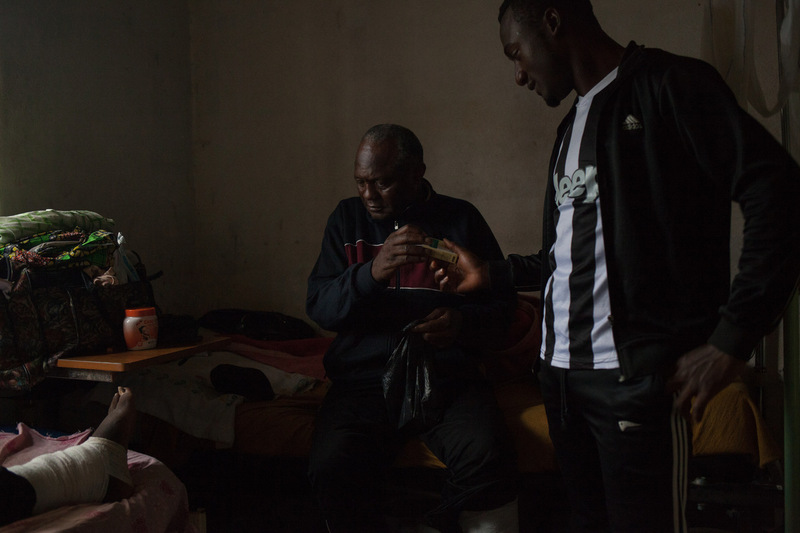 Désiré Noutinou, 62, a merchant and father of 28 children, shows Dr Coveni his medicine. To stay at the hospital, he spends between 80,000 and 180,000 west african francs ($143-323) per month, according to patients. Desire complains about difficulty in feeding and taking care of his 28 children while he is at the hospital. He says he may have to leave when school starts, even if his wound is not healed, in order to go back to work so he can pay for his children's schooling. Martin Tematio, 46, is undergoing negative-pressure wound therapy. The machine used forms a vacuum that helps with the removal of fluids such as wound exudate, irrigation fluids, bodily fluids or infectious materials. Its application is painful but helps to speed up the healing process. Martin, in hospital for the last two months, has an eight-month old wound. 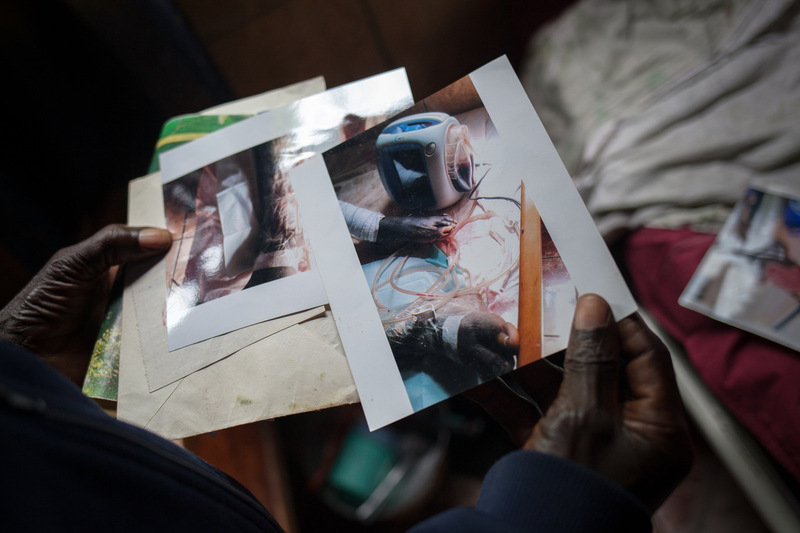 Sylvestre Tchokosseu, 61, shows photos of when he had undergone negative-pressure wound therapy. 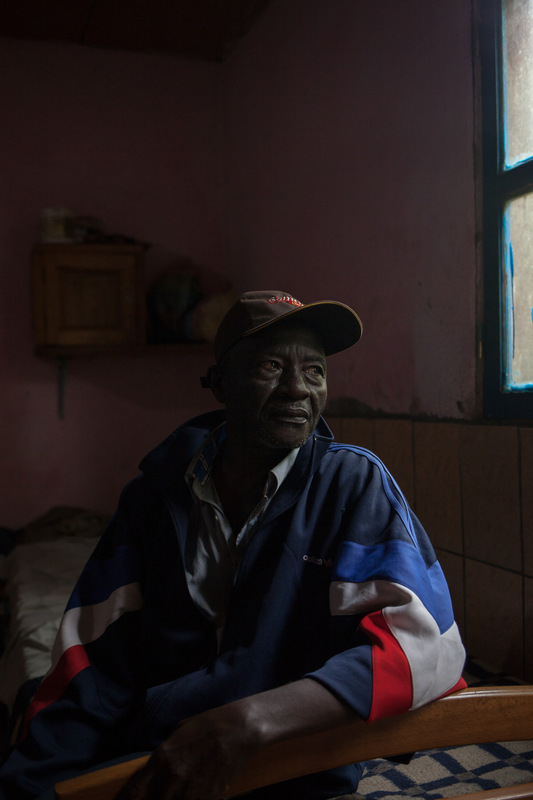 Sylvestre Tchokosseu, 61, drove more than eight hours from southern Cameroon to the wound hospital to treat his ulcerated feet, wounds that had been there for more than 20 years. "At first, I thought the wound was a spell, was a cast. I visited many traditional healers before coming here." After 8 months at the Wound Hospital, his leg remains infected. Nurses change a patient's wound dressing. The small team of nurses is specifically trained to apply the right bandage to each type of wound. François Foukoum, 53 years old, trader and martial arts teacher, has been suffering from an open wound for 10 months. 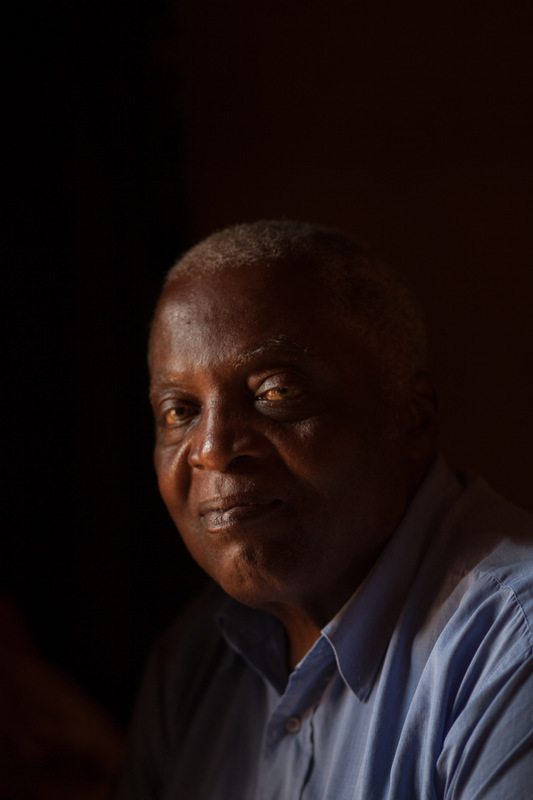 He first tried hospitals and clinics in Yaoundé, Douala and Ebolowa, but his wound was only getting worse. In Balaveng for 6 months, he is satisfied with the improvement, but repeats: "It is the doctor who treats, but it is God who heals." On André Lando's 44-year-old bedside table, food and a box of Cinclamox, an antibiotic pill based on amoxicillin and clavulanic acid. 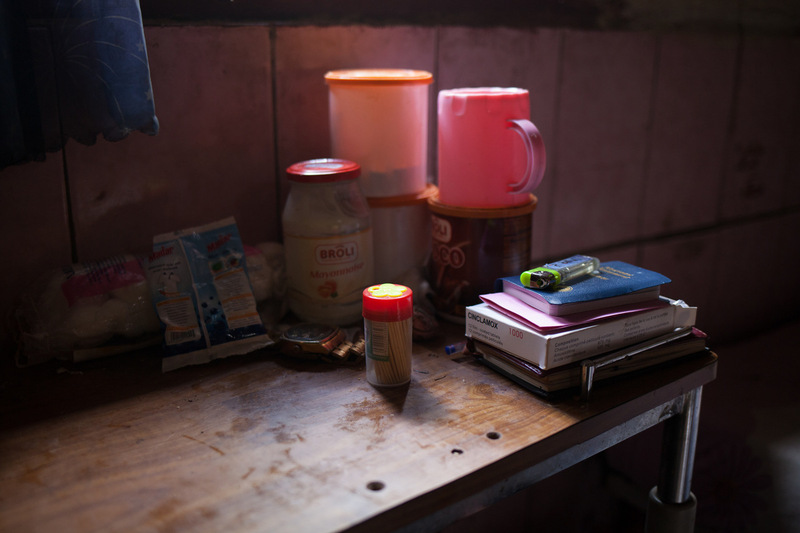 Under his bed, this former quincaillier and informal drug seller hides a few other boxes. He does not trust the nursing staff, and has been self-prescribing antibiotics, which he has been taking continuously for over seven months. His left foot's been ulcerated for five years. 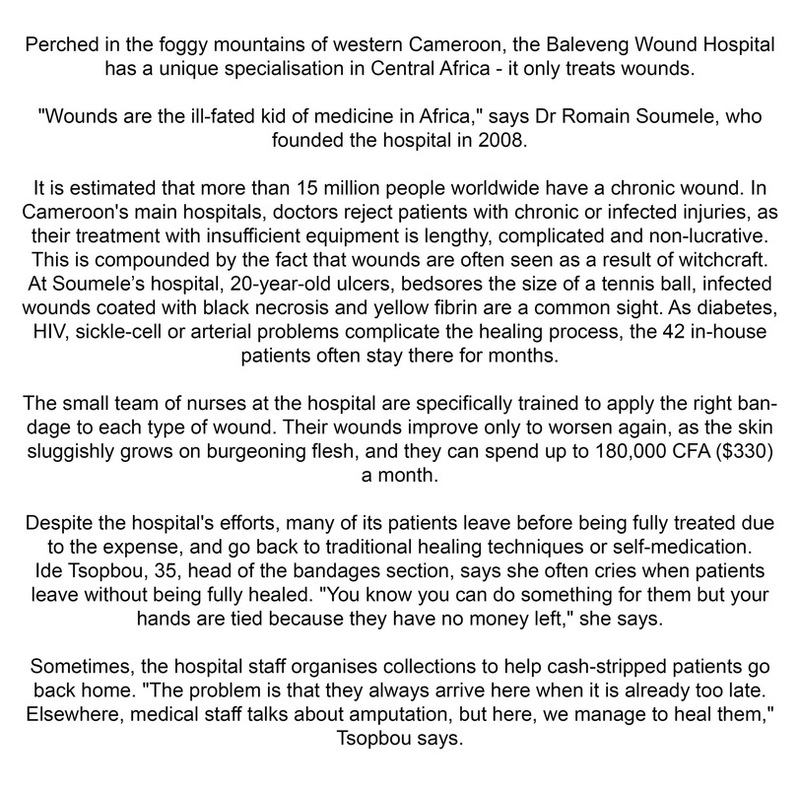 The wound hospital of Baleveng was founded by Dr Soumele, a Cameroonian practicing in France. He has set up a collaboration between his hospital, the University Hospital of Montpellier in France, and the French and Francophone Society of Wounds and Cicatrisation, of which Dr Geri-Trial is a member. Once a month, hospital staff can consult specialists to get advice on complex cases, such as arterial ulcers. 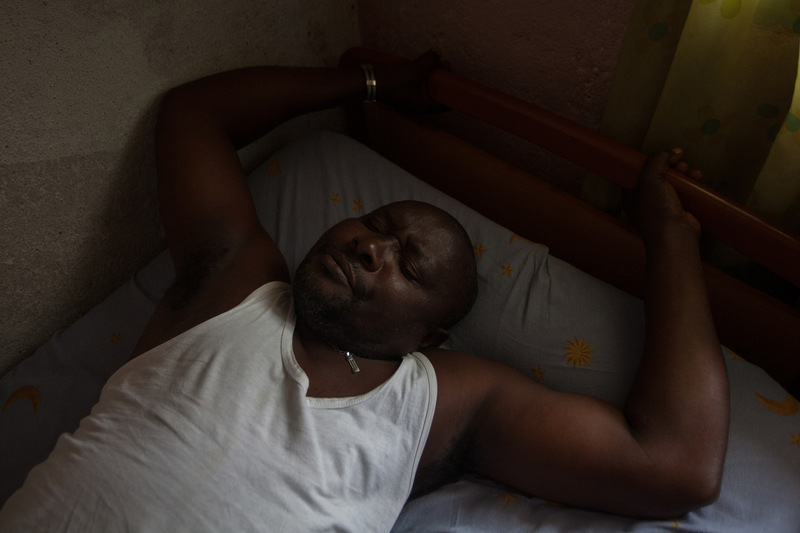 André Lando, 44, a former hardware store and informal drug seller, does not trust the nursing staff and has been self-prescribing antibiotics, which he has been taking continuously for over seven months. His feet is hurt since five years. Marie-Jeanne Lemale, examines her wound and gives instructions to the nurse who redoes her dressing "you didn't see the hole here" or "you forgot the oil there", she specifies. At the hospital for the past month and a half, she deplores the lack of improvement in her seven-month-old wound. A lab technician tests a newly-arrived patient's glycaemia. Diabetes and cardiovascular disease are the two leading causes of chronic wounds according to the World Health Organization (WHO). In the Wound Hospital laboratory, only certain basic tests can be performed. 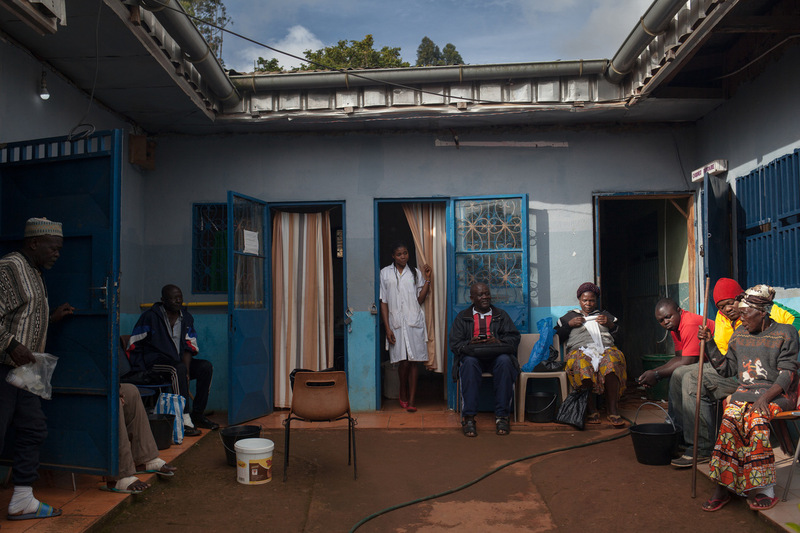 Patients are sent to the nearby town of Dschang for vein and artery Ultrasound or analyses of the bacteria found in the wound. Madeleine Prombo, 87, lives 1:20 from the hospital. She just arrived with her daughter to treat a four-year-old wound. She first consulted more than five kinds of specialists, from orthopedists to rheumatologist but there was no result. 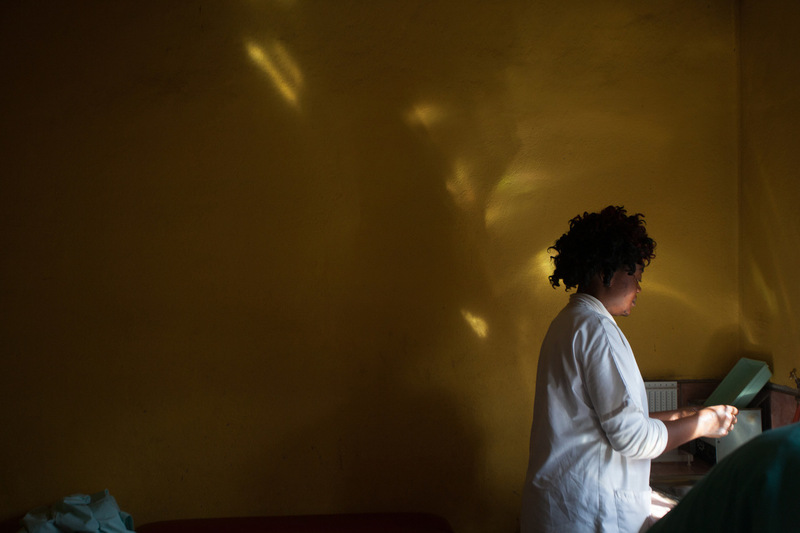 At the Wound Hospital, first aid and hygiene training is given to patients every Thursday. 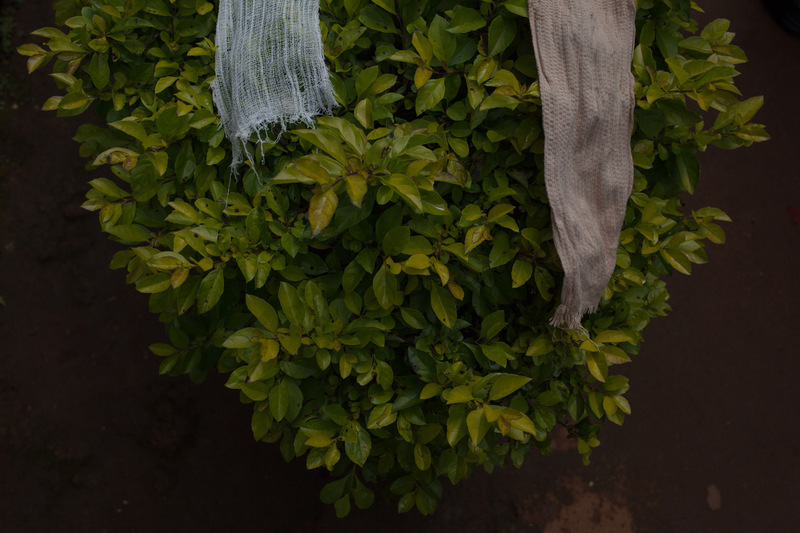 Clean bands are put to dry on a bush, an unsanitary technique used by patients that caregivers try in vain to change.